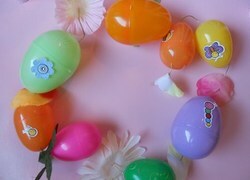 Easter is a holiday that most kids love because of the chocolate and the egg hunts. 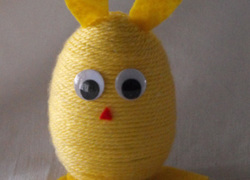 But, there are also many Easter activities that can be made into educational exercises. 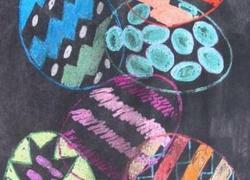 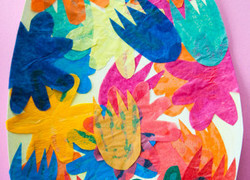 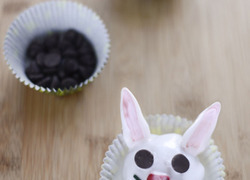 There are many Education.com arts and crafts Easter activities that are perfect for just before the holiday; students will love creating a cotton ball Easter bunny, crafting their own Easter basket, and many more Easter activities. 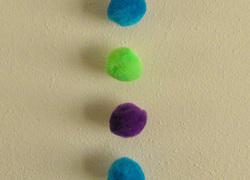 This homemade pom-pom garland requires very few materials and instantly brightens up a room with Easter-themed pastels. 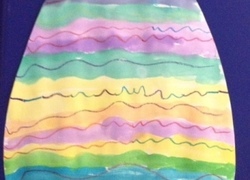 Use watercolors and crayons to teach your child about resistance while she creates a beautiful Easter decoration with this festive craft. 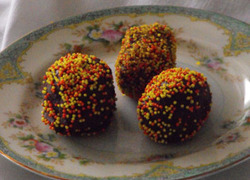 Nothing is more wonderfully rich than a chocolate truffle. 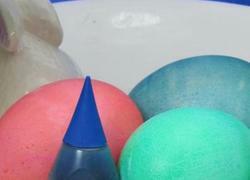 Help your child make a batch shaped like eggs to share with family and friends this Easter. 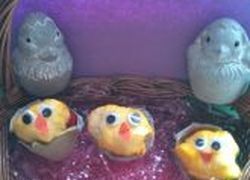 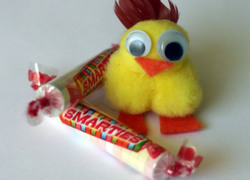 Construct cute baby chicks with nothing but fuzzy pom-poms and an assortment of other craft supplies. 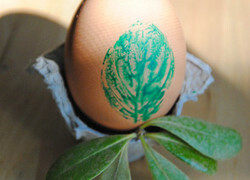 Using hard boiled eggs, leaves and tempera paint, your child can create a delicate garden print decoration on Easter eggs. 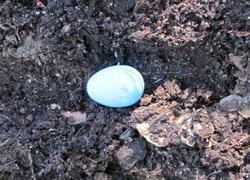 If it's Easter, it must be time for egg hunts. 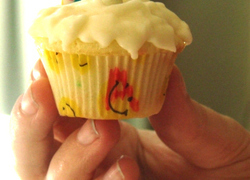 But we have to admit, most kids would rather take a bite out of a yummy cupcake than a hard-boiled egg. 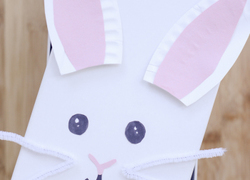 Hop over to the craft table and make this easy bunny puppet! 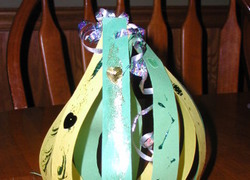 Keep your boiled breakfast egg cozy and warm on Easter morning with a bright chick egg topper. 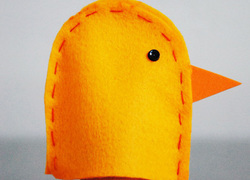 This craft can also double as a puppet! 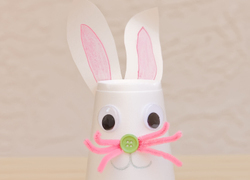 Help your child create an Easter bunny with this craft that is hopping good fun. 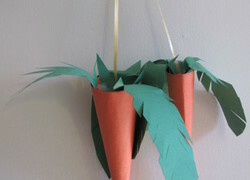 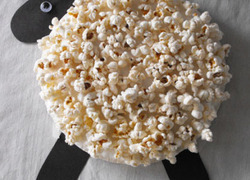 Have your preschooler lend a hand when it comes to the Easter decorations by making this adorable popcorn lamb. 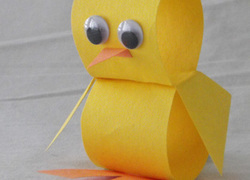 Your child will enjoy making this Easter decoration that honors the chicken. 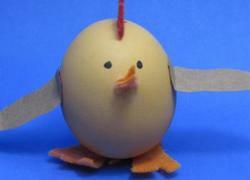 After all, chickens are the ones that actually make the Easter eggs! 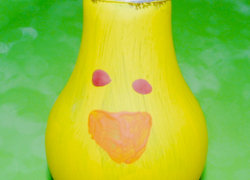 This year, help your child celebrate Easter by upcycling an old light bulb and make a cute little chicken face. 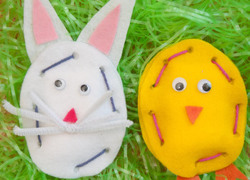 These easy-to-make felt friends are created by sewing two pieces of felt together with yarn and make great gifts for holidays such as Easter. 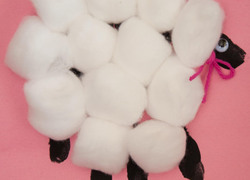 This adorable, fluffy sheep made from your child's handprint and cotton balls is the perfect craft for Easter.